The kit this month at Elle's Studio is all about color, bright summery colors that I love! I probably say that every month about Elle but it's true. This kit designer is all about beautiful palettes and that's what draws me to them. 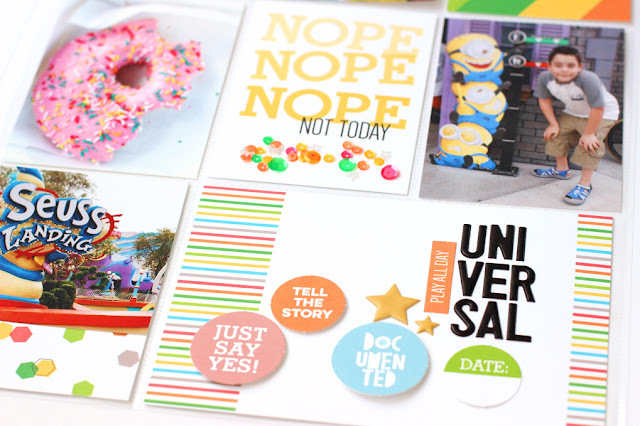 I had what I call a collection of odds and ends photos from our trip to Universal last spring. Just snapshots that I loved that didn't make it into scrapbook layouts and detail shots that I knew would be perfect for my project life spreads. They are a peek into our vacation and little moments I don't want to forget. Especially, that big pink delicious doughnut! 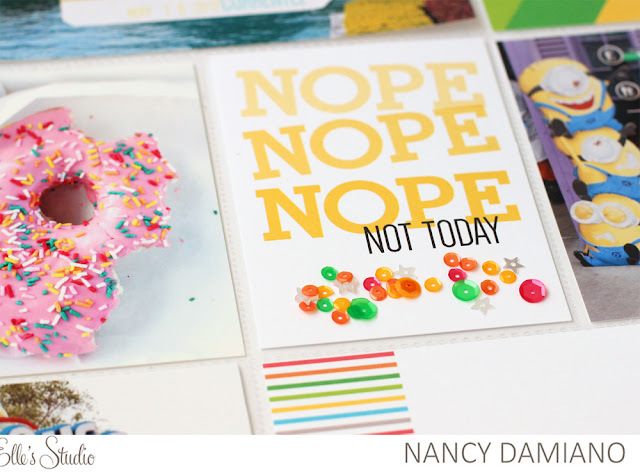 I love this bright yellow Nope card. It reminds me so much of the Minions in the photo with my son. A handful of sequins make it a great shaker accent. I've been using the May Elle's Studio kit to create a few more project life spreads. I'll be back to share soon! Love this! Great kit this month and I LOVE the new stamp set!